L.U.M. 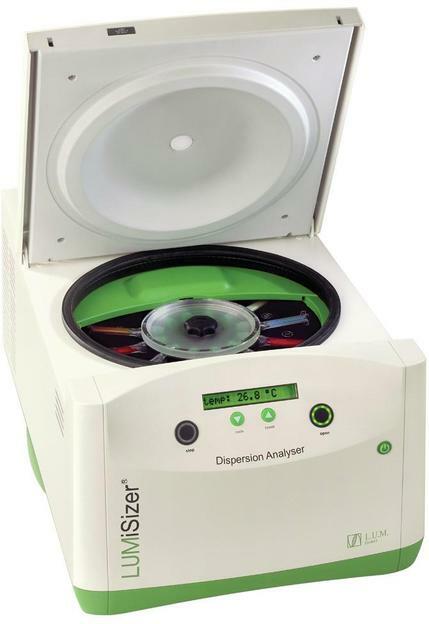 GmbH, market leader in innovative instruments to analyse stability, shelf life, particle size distribution of semi-diluted or concentrated dispersions, presents a new technological platform for comprehensive dispersion analysis, realized in the product lines LUMiSizer®, LUMiFuge® and LUMiReader®. The cutting-edge patented STEP®-Technology meets the increasing demand for fast stability analysis and shelf-life determination of high concentrated dispersions and particle sizing in industrial and public research and development and industrial QA/QC. The technology is based on the Space and Time resolved measurement of Extinction Profiles of dispersions in a sample cell, during the demixing processes in a gravitational or centrifugal field. The Dispersion Analyser LUMiSizer is your complete dispersion lab, all in one instrument. 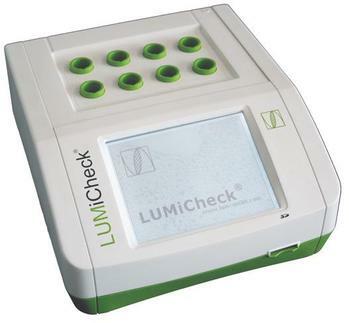 The quick characterization of any demixing phenomena, consolidation and determination of particle size distributions make the LUMiSizer the instrument of choice for research, development and QA/QC. The instrument determines demixing processes of dilute or concentrated suspensions/emulsions for up to 12 different samples simultaneously. Even different sample cell types and physical references can be measured at the same time. 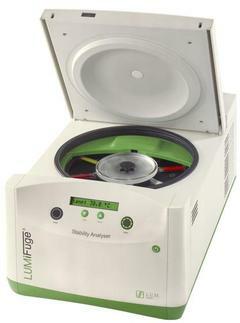 The multisample analytical centrifuges LUMiSizer and LUMiFuge can accelerate the demixing process up to 5000x compared to traditional test tube tests. Fast stability analysis and shelf-life determinations of high concentrated dispersions are done in minutes/hours instead of months/years. 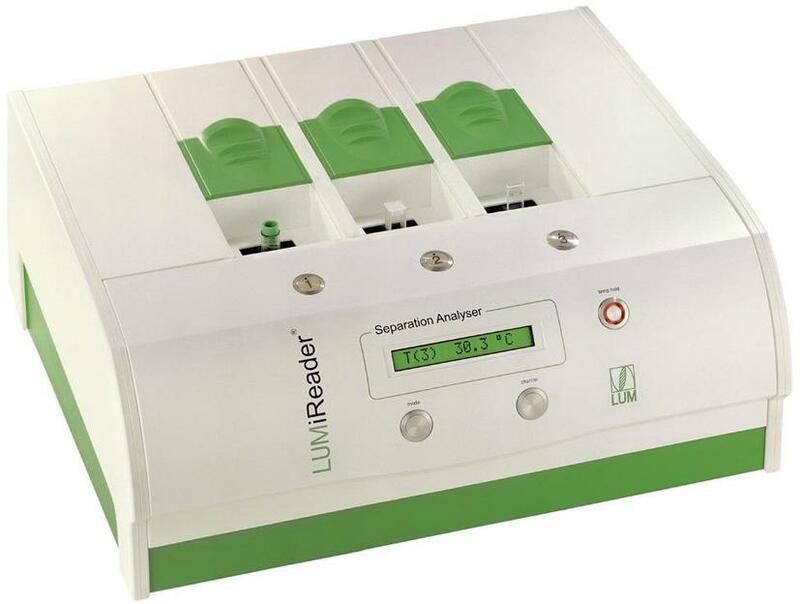 The LUMiSizer is ideally suited for characterization and optimization of dispersion properties by measuring collective particle interactions, the compressional and elastic behaviour of sediments. The concentration, viscosity, complexity and particle size of a wide range of dispersions are easily analyzed. The Separation Analyser LUMiReader, determines the demixing of suspensions and emulsions for a large range of particle sizes under original storage conditions, e.g. sedimentation, creaming, flocculation and coalescence. Using a patented measuring principle, the demixing can be increased potentially by the factor of 5 and more, without applying additional mechanical forces onto the sample. The variety of sample cells and light sources as well as temperature control up to 60 °C for all instruments meet the requirements of many applications in chemical, pharmaceutical, food and cosmetic industries. 2Accelerated Solvent Extraction (ASE) – Maximize results and reduce errors in food analysis!